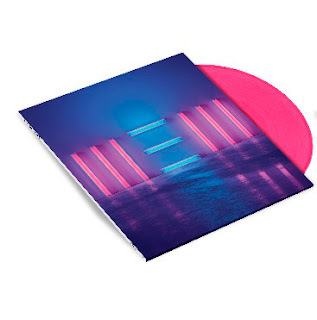 4 catalogue releases from McCartney, also available on colour vinyl this time. No news about Paul's forthcoming new studio album, I'm afraid - but meanwhile here are some catalogue reissues, due out May 18, 2018. March 28, 2018 (Los Angeles, CA) -- On May 18, Paul McCartney will release four 2018 edition catalogue reissues via MPL/Capitol: NEW, Chaos And Creation In The Backyard, Wings Greatest and Thrillington. All four titles will be issued in affordable single CD digipak and 180 gram black vinyl single LP formats—and will be made available for the first time in limited edition 180 gram coloured vinyl pressings. All vinyl LPs will include a download card. Released and over-released but back again. Upon its release in 2013, NEW was lauded by Rolling Stone as "energized and full of joyous rock & roll invention.” Executive produced by Giles Martin and also featuring production by Mark Ronson, Ethan Johns and Paul Epworth, NEW entered the U.S. chart at #3. The album scored positive reviews from Entertainment Weekly to Pitchfork and all points in between, while the title track, “Queenie Eye” and “Save Us” would become staples of the McCartney live show over the course of the Out There and One On One world tours. NEW’s 2018 edition will feature the first vinyl pressing of the album since its 2013 release, including a limited edition pink vinyl 180gram vinyl LP with download card and 12x12” insert. The original vinyl album is now expensive. Released in 2005, Chaos And Creation In The Backyard was instantly hailed as continuing a hot streak that included Flaming Pie, Run Devil Run and Driving Rain. Produced by Nigel Godrich (Radiohead, Beck) and featuring the singles “Fine Line” and the Grammy-winning “Jenny Wren,” Chaos And Creation… debuted at #6 on the Billboard chart. It remained on the charts for nearly half a year, while Paul mounted the massive ‘US’ Tour. In 2007, “Jenny Wren” won the Grammy for Best Male Pop Vocal Performance, while the album was nominated in three other categories including Album of the Year. 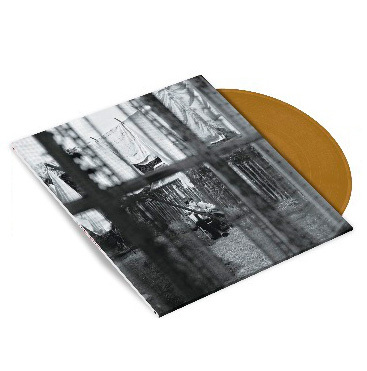 The 2018 edition of Chaos And Creation… will make the album available on vinyl for the first time since its initial run and will include a limited edition gold vinyl 180gram vinyl LP with download card and 12x12” insert. Gave some singles an LP home. Originally released in 1978, Wings Greatest was the first ever compilation of Paul McCartney’s post-Beatles hits, featuring four classics that had previously been unavailable on any McCartney album: "Another Day," "Junior's Farm," "Hi, Hi, Hi" and "Mull of Kintyre.” The penultimate Wings album release, Wings Greatest was naturally a worldwide hit, and the soundtrack to the 70s for a generation. 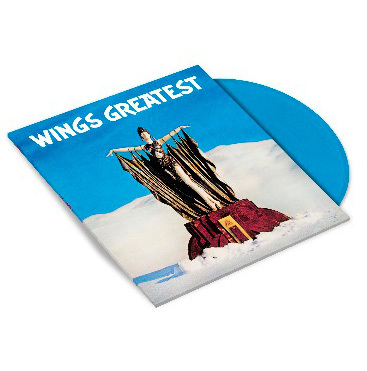 As part of its 2018 edition reissue, Wings Greatest will be available as a limited edition blue vinyl 180gram vinyl LP with download card and 20”x30” poster. Recorded in 1971 but not released until 1977, Thrillington remains one of the most enigmatic entries in the storied McCartney discography. 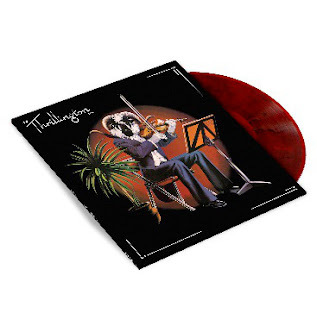 Credited to the pseudonym Percy “Thrills” Thrillington, a fictitious socialite whose activities were chronicled in UK newspaper ads, Thrillington was actually a fully reimagined instrumental lounge/jazz version of Paul and Linda McCartney’s RAM. With Thrillington’s 2018 edition, Percy is given a new lease on life with this collector’s item available on vinyl for the first time since the 1977 first pressings that fetch hefty sums on the collectors’ market, plus a limited edition red/black marbled 180gram vinyl LP with download card. But enough about the press release. Of course, vinyl collectors who missed out on Thrillington and Chaos and Creation in the Backyard when they were new, are probably delighted to find out about these re-releases. The original editions of those two albums are now getting top prices on auction sites like ebay, but this re-release may affect the collectability. As for ourselves, we found "Thrillington" in a bargain bin very cheap in the late seventies and got "Chaos and Creation..." when it was new. John and Yoko exhibition opens in May in Liverpool. Double Fantasy – John & Yoko, at Museum of Liverpool from May 18, 2018 to April 22, 2019, is a free exhibition, celebrating the meeting of two of the world’s most creative artists who expressed their deep and powerful love for one another through their art, music and film. They used their fame and influence to campaign for peace and human rights across the world, transforming not only their own lives, but art, music and activism forever. 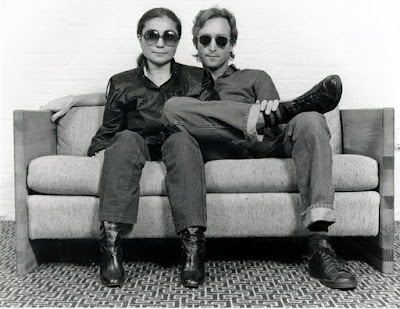 Yoko Ono Lennon said: "I am so happy and grateful that we are having our Double Fantasy -John & Yoko show in Liverpool. This is where John was born and I know John would be very happy too. We were a very simple couple just loving each other every day and I just wanted to show the simple truth of us. In our personal life we were pretty simple people, and we made all sorts of things with love for each other. Everything was made out of love. We found that we were both very strongly interested in world peace. I feel John and I are still working together. I always feel his warmth next to me." 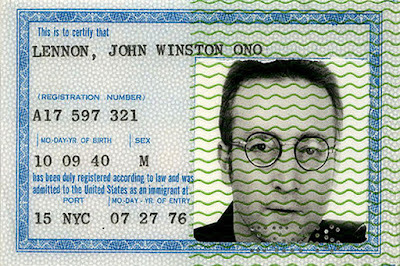 John Lennon gets his "green card" which grants him permanent residency in U.S.A.
– Hand-written lyrics by John Lennon, including "In My Life", "Give Peace a Chance", "Happy Xmas (War is Over)" and "Woman". – "Grapefruit" –Yoko’s artist book, which she gave to John as a gift in 1966. Published in 1964, the book represents a seminal piece of conceptual art and was a direct influence on the lyrics and ideas behind "Imagine". – Original artwork by both, including Yoko’s "Ceiling Painting/Yes Painting", "Painting to Hammer A Nail" and "Apple", as well as "The Daily Howl", a hand-made book by John from his childhood and numerous examples of his distinctive line drawings. The exhibition also features conceptual work the couple produced together, such as War is Over, Plastic Ono Band, and elements of their first collaboration "Acorn Peace". – Many personal items, such as John’s wire-rimmed glasses, Yoko’s large Porsche sunglasses, iconic items of clothing, such as John’s New York City t-shirt, and items from their wedding outfits. 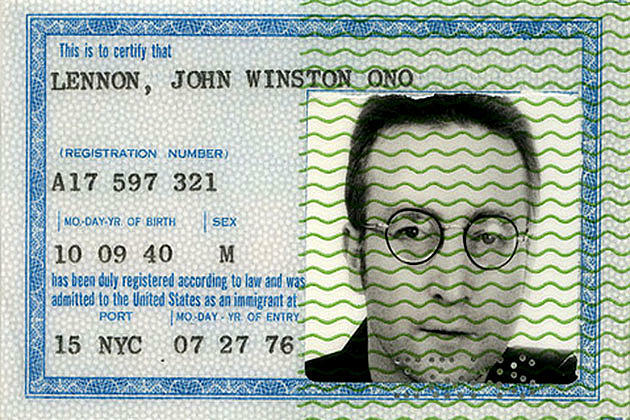 – John’s hard-won Green Card. – Items from the couple’s famous 1969 'Bed-Ins' in Amsterdam and Montreal. – A rolling programme of the films that John and Yoko created, and music videos made under Yoko’s supervision. A music room, overlooking the Mersey with the couple’s albums played for visitors will feature album cover art. – A recreation of the Imagine mosaic circle in Strawberry Fields, Central Park, New York. An intimate and contemplative space, it will also reflect on the global impact of John’s death. 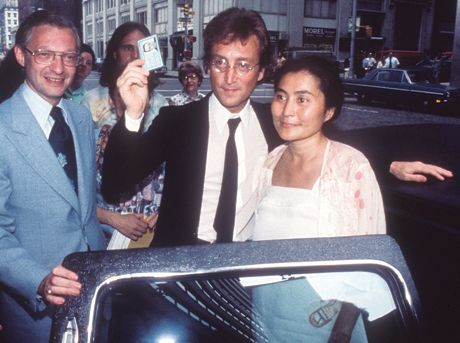 John Lennon's "green card" will be on display. 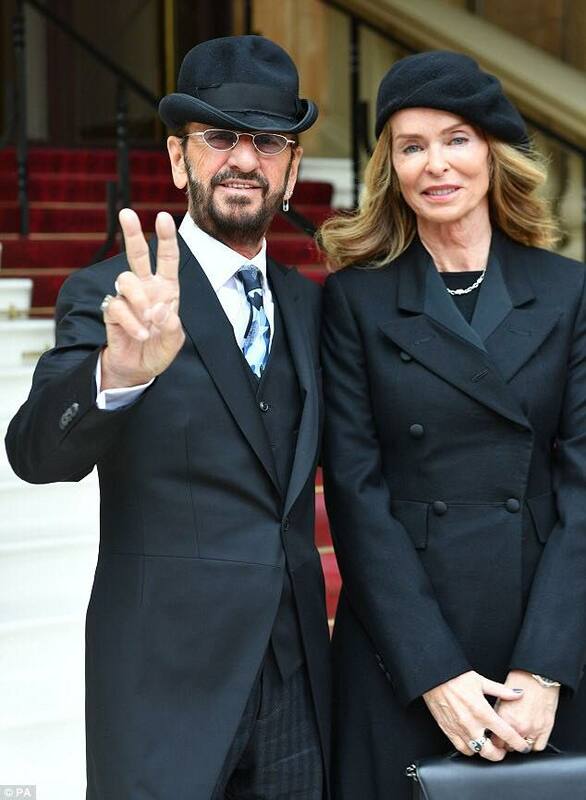 It was such a special occasion that Ringo decided to wear a hat! 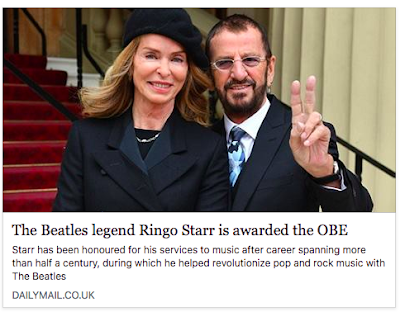 Yesterday, Richard Porter reported that Ringo Starr was about to be knighted at Buckingham Palace today. And the Daily Mail had photographers posted, snapping several photos of Ringo with his wife Barbara Bach, prior to the ceremony. 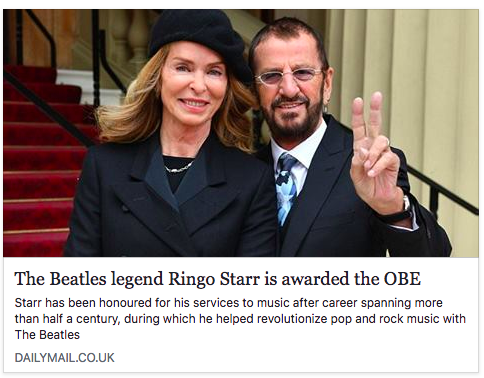 Their article mistakenly reported that Starr was about to receive an OBE, which is one rank above his previous MBE but still no knighthood. The Daily Mail before they realised their mistake. Later, they realised their mistake (probably alerted by Beatles fans) and amended their article. At the ceremony, it was The Duke of Cambridge, Prince William who performed the ritual with placing the sword on Ringo's shoulder. After the event, Ringo tweeted this image from the ceremony. Interviewed by the BBC afterwards, Ringo quipped that he was going to wear the medal he received "for breakfast". A film of the interview can be found on this page. 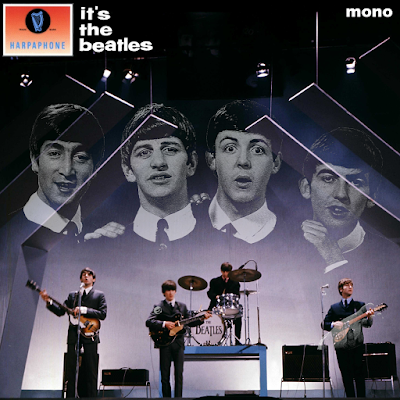 New source for "It's The Beatles"
Imaginary CD cover for an imaginary CD. Last week, someone uploaded to Soundcloud his own audio tape recording of the televised concert "It's the Beatles", which was filmed at the Empire Theatre in Liverpool December 7, 1963. The Beatles Bible: The performance took place in front of 2,500 members of The Beatles' Northern Area Fan Club, between 3.45 and 4.30pm. It was filmed in its entirety by the BBC, and 30 minutes were broadcast that evening from 8.10pm to 8.40pm during a special programme entitled It's The Beatles. As we know, this particular video tape was later used by the BBC to train video editors in the technique of cutting and splicing, resulting in only four songs having survived. Still, the (mostly) complete audio has survived, so far three sources have been known, but the new upload has proven to be the fourth and best of the crop, so far. The uploader recorded the audio from the TV by wiring a tape recorder to the TV speaker. This is very dangerous. TVs had what was called a "hot chassis" in 1963, so poking around inside a TV set gave you about a 50-50 chance of electrocution. Upon learning that bootleggers would probably use the recording for profit, the uploader deleted his Soundcloud file, but fortunately for Beatles historians and collectors, it was up there long enough for it to make it to some of these collectors. 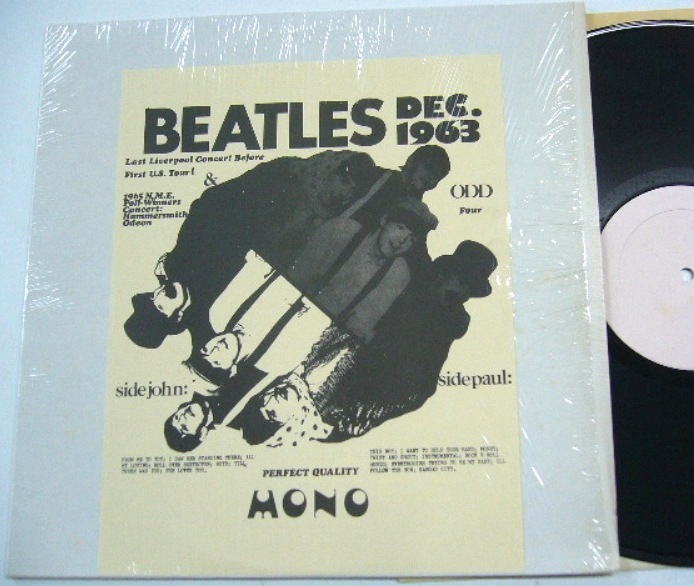 The 70s vinyl boot "December 1963" featured the debut appearance of this concert - in terrible quality! Recorded six feet away from the tv set by a guy holding a mic. It came with bonus sounds of the family having dinner in the background. The Amazing Kornyfone label released this offline recording as a vinyl bootleg in the seventies. Then nothing happened until the mid 2000s and someone uploaded a version to YouTube. It was a line recording, but was plagued by speed problems, phasing and loud clicks and YouTube's at the time terrible audio quality. This was later released on the bootleg label Unicorn. A few years later another line recording was unearthed, this one better quality but incomplete and missing all the verbal introductions plus three songs. It was released on bootleg called "The Beatles BBC Archives: BBC Beatles Night", which was freely shared on the internet. Now we have this version, which is far and away the best one so far. It's a line recording, and is complete from start to finish, including the announcer continuity at the end! Like I said, the recording was downloaded before it was deleted, and enthusiasts in the Beatles audio recordings community have been able to clean it up. This process has included speed correction (using the surviving video as reference), stereo playback head azimuth digitally corrected and recording then folded down to mono (recording was originally mono but played back on a stereo machine), mains hum removed, equalised for sharpening a somewhat dull sound, and bursts of static interference replaced with previous version of the same concert. The result has been shared on a few internet Beatles forums for free, and not - as the original taper and uploader feared - for profit. But as you probably suspect already, somewhere down the line, some bootlegger will find this and release it for profit, no doubt. Unfortunately, the BBC are not paying any finder's fees for unearthing recordings they used to have but which they have deleted in the past. And if you should have or find rare Beatles recordings and donate them to Apple or the BBC or whatever, you can never be sure if they are ever going to use or release them in some form. This means that if you really want other Beatles fans to hear or see what you have, it's best to share it on the internet - even if this means that some bugger is going to press discs and make money from it. The surviving footage from the televised concert.